A few times a week I drive along a stretch of road that sees regular moose activity. There is a road sign to alert drivers that moose often cross the road and that they should drive with caution for the next couple of miles. This sign alerts me to the chances of a moose sighting. 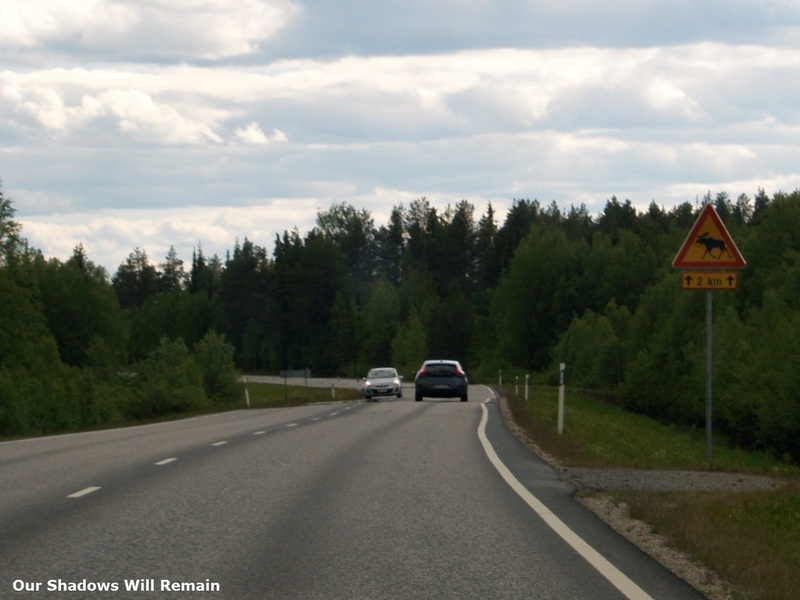 I have only once seen a moose on this stretch as it disappeared from the roadside into the dense forest that lines the road. Since then I have continuously been on the lookout to see the animal again. Each time I drive the road I am filled with hope that I may get another chance sighting of the magnificent animal as it takes refuge in the forest. As I was driving I could see ahead of me a smashed up van that was pulled in and abandoned on the side of the road. It wasn’t until I was closer that I could see the reason why, the moose! The animal lay motionless in front of the wrecked vehicle. This was upsetting for two reason. Firstly and most obviously, an animal had been killed in what was most likely an unintentional accident caused by our interference into its natural habitat. Secondly, the mystery and intrigue that came from driving that stretch of road was now gone. I suddenly realised that I wouldn’t see the moose again and would from now on remember it in this sad way.